It all started on a 9-foot Steinway piano in a radio studio in Cincinnati, Ohio. 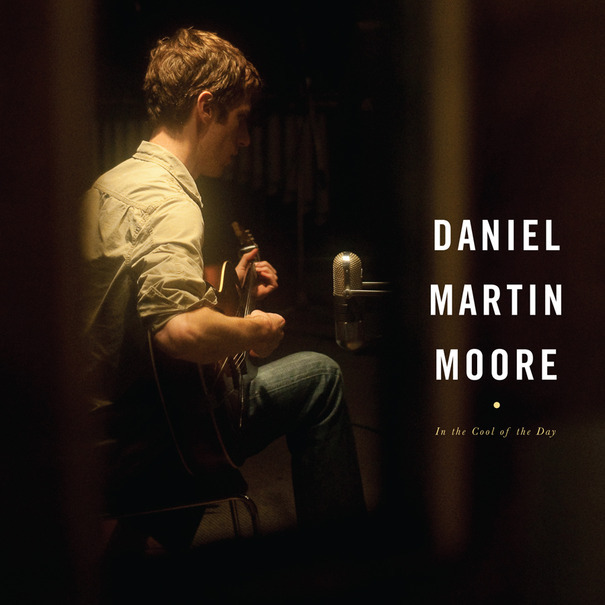 On that piano, kept in-house and once used by the Cincinnati Symphony Orchestra, Daniel Martin Moore rediscovered his love of Appalachian folk songs and family gospel music, both of which he had heard growing up in Cold Spring, Kentucky. From the opening bars of ‘All Ye Tenderhearted’, performed a cappella, it’s clear that a smooth, sparse set of songs is set to follow. Moore has stayed very close to the feel of these spiritual songs and hasn’t, thankfully, diluted them with a twee, quirky, indie-folk kitsch feel for fans of Bon Iver or The Low Anthem. His voice, smooth and light, doesn’t intrude too much; the piano, guitar and banjo (courtesy of Jim James of My Morning Jacket) does much of the work. Even more refreshing is how Moore underplays the songs. Instead of over-dramatising gospel music, as performers often do when bringing the songs to life through folk instruments, he plays them as he would if he were at a session in the corner of a bar. All of this said, Moore adjusts and adapts the material to make it work for the album. Sister Rosetta Tharpe’s ‘Up Above My Head’, is much more restrained than Tharpe’s electric guitar driven version, which uses classic gospel handclaps as percussion. Moore, instead, performs it as he would a Django Reinhardt number and this relaxed feel, complete with gently shuffling drums and a fiddle, neutralises the flow of the record and moves just a couple of steps up from the more tranquil songs included here. The same upbeat feel refreshes ‘Dark Road’, known better to American roots aficionado’s as G.B. Grayson and Henry Whittier’s ‘A Dark Road is Hard to Travel’, where Moore stays faithful to the musical arrangements but gives it a fresh feel and even adds on lines here and there. Throughout the record, he skillfully shifts the mood, most notably in ‘In the Garden’, which here, is bass-led with lilting piano lines, restless drums and Moore’s crisp voice. With the help of Jim James, Moore has crafted an album that clocks in at 30 minutes, leaves a lasting impression and convincingly taps into an important traditional form in American song. And as good as the covers, and indeed a couple of Moore originals- are, the winner here is the sound, feel and overall production values of the record. A must for fans of Bob Dylan’s Modern Times, Elton John & Leon Russell’s The Union and other assorted T- Bone Burnett produced albums.